The Texas Securities Board pounces on two mining operations using social media and multilevel marketing to propagate a transnational web of “fraudulent crypto-mining programs”, Director of Enforcement Joseph Rotunda informs CryptoSlate. AWS Mining and EXY Crypto have been stung with emergency cease-and-desist orders, dated Nov. 6, citing a symphony of allegations against Australia and Canada-based organizations centered around the illegal promotion of bogus crypto mining investment contracts and failure to register with the Texas Securities Commissioner as a Dealer. 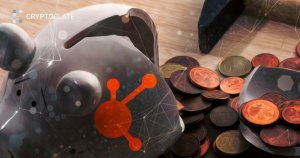 Rotunda, known to many as the law enforcer that took down BitConnect, told CryptoSlate both legal actions accuse the firms of using predatory tactics and deceitful claims to “broadly target” potential investors—including Texans—under the guise of promised, highly lucrative returns. As alleged by the board’s emergency order, Quebec-registered EXY Crypto and its three affiliates including Promotions Manager and Texan resident Morgan Nolan, have been using LinkedIn to disseminate solicitations promising returns of 10 percent or more per week backed up by a smorgasbord of false testimonials. He also specifically named me, the agency’s Director of Enforcement, in a comment to one of the advertisements for the fraudulent program. Nolan’s comment contained a hyperlink to my LinkedIn profile, and he posted other comments that linked to the profiles of dozens of other users of the social media platform. Cracking the whip on the same day, the Securities Board also tagged Sydney-based AWS Mining with an order for running an elaborate multilevel marketing ploy whereby unlicensed sales agents offer 200 percent returns on the purchase price of “crypto mining power contracts” purportedly tied to farms in China, Russia, and Paraguay. Sounds great right? Not so fast. The action found the claims of profitability to be deceptive. Although investors are led to believe they will receive a 200 percent return on the purchase of the contacts, AWS Mining is disclaiming the guarantee, instead passing the risks associated with cryptocurrency mining to investors. 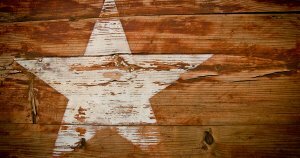 The latest indictments would double down on the narrative that no dubious investment scheme is out of reach for the Texas investment watchdog, who Rotunda previously divulged has opened a string of investigations into organizations targeting residents of the Lone Star State since crippling BitConnect with its well-noted January cease-and-desist. The post Texas Securities Board Hits Two “Fraudulent” Mining Operations with Emergency Cease-and-Desist Orders appeared first on CryptoSlate.